Gentec-EO opens an office in Japan! We have recently founded Gentec-EO Japan G.K. and opened an office in the heart of Tokyo, Japan. The growing success of Gentec-EO in the Japanese market made it a natural decision to open the company's own office in the Tokyo area. Combining Gentec-EO's renown brand and the current experience of our new sales team, consisting of Hiromi, Daisuke and Yuko, with Gentec-EO products makes it an exciting milestone for the company. 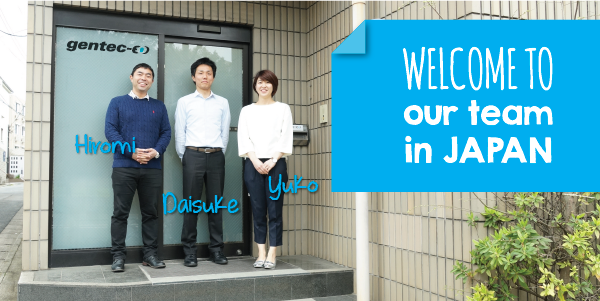 The three members of our Japan team are very excited to start doing business with you. It will be our pleasure to be your new partners for accuracy!